Sri Lanka’s Malays, despite being a happy-go-lucky people, are well known for their diligence to duty. This is perhaps a spillover from the days of their ancestors, most of whom came as soldiers from the Indonesian archipelago to serve the Dutch colonial regime here. “Along with their other arms they always wear their kreeses or poisoned daggers by their sides: in the heat of an engagement they often throw down their musket and bayonet, and, rushing upon the enemy with their kreeses, carry terror and destruction wherever they come”. A Dutch cartographer, in his plan of the town of Kandy C. 1765, even thought it fit to adorn his work with a Malay soldier standing near Dutch Governor Baron Van Eck, proudly raising the severed head of an adversary, the blood-covered keris (curved dagger) still in his hands, as we may gather from the compendious Grote Atlas compiled by R. Van Diessen and B. Nelemans (2008). 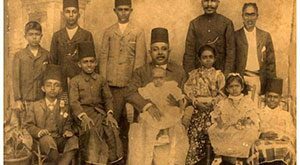 In British colonial times, the Malays showed a particular fondness for state service and served in the army, police, and fire brigade, the last of which was almost wholly manned by Malays. Police Day to this day commemorates the sacrifice made by Constable Saban who died in the line of duty trying to arrest the famous outlaw Saradiel. The sarong, as we all know, is the traditional lower garment of the Sri Lankan male. The attire, known as sarama among the Sinhalese and saram among local Muslims, is basically a tubular length of cloth wound round the waist and reaching down to the ankles. It is usually fastened by tucking in a part of its upper portion at the waist. These sarongs are most likely to be made of cotton and often come in plain white or coloured material. The Sinhalese prefer striped sarongs, while Muslims prefer checked patterns. This garment no doubt has its origins in the Malay sarung so widely worn in the Indonesian archipelago and Malayan peninsula. The term literally means a ‘sheath’ or ‘covering’ (as in sarung kaki ‘socks’, sarung surat ‘envelope’ and sarung bantal ‘pillowcase’. In fact, the early Sinhala lexicographers always spelled the name of the garment not as sarama but as saroma. Thus we have Benjamin Clough in his Sinhalese-English Dictionary (1892) giving saroma as ’native dress made of cloth the ends of which are joined together’. 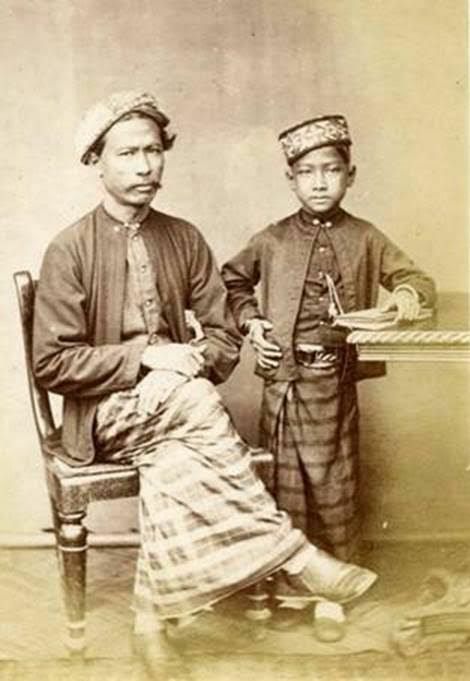 Interestingly, the sarong was worn by both Malay men and women in the olden days. An early 19th century writer, describing the customs of the Malays of his time, says “The principal and most characteristic, perhaps the original, article of dress is the sarong, which is common to both sexes” (The Journal of the Indian Archipelago and Eastern Asia edited by J.R.Logan, 1849) Even in Sri Lanka, the Malay women of the olden days used to wear sarongs, though understandably these covered much more of the female anatomy than that of the men. Robert Percival in his Account of Ceylon (1805) records that the Malay women wear the sarow, a large piece of cloth wound round the body and folded low down on the waist. By sarow Percival no doubt meant sarong. In support, we have John Stavorinus who says that the dress of Javanese women consisted of a piece of cotton cloth which they called saron and which was wrapped around the body (Voyages to the East Indies, translated from the original Dutch by Samuel Wilcocke, 1798). This was, of course, their indoor dress, and whenever they went out the women wore a loose robe known as badjou or a long scarf known as selendang. But does this mean that local men went about naked from the waist downwards before the Malays introduced the item here, say three hundred years ago? Absolutely not. What the Malays introduced was the sarong whose ends are sewn together and has a tubular appearance. Before this what local men wore was an unstitched waistcloth somewhat like the Indian dhoti that is wrapped around the waist and reaches down to below the knees Such garments were known locally as kambaya, a colourful cloth worn by the lower classes, somana, a richer cloth worn by the upper classes, and tuppotiya, worn by the aristocrats. Today, ear ornaments are popularly known among the Sinhalese as karabu, which can refer to a range of jewellery for the ear from ear-studs to pendant earrings. These ornaments did not catch on here due to Western influence. Nay, they first came here by way of the Malay world and were possibly introduced by our local Malays. The karabu of the Sinhalese have their origins in the Malay kerabu. In Malay kerabu means ‘a flat, round ear-stud, usually of a large stone in a cluster of smaller stones’. An older account gives krabu as ‘small earrings of gold sometimes with a diamond set in them’ (The Journal of the Indian Archipelago and Eastern Asia, edited by J. R. Logan, 1849). It also applied to pendant earrings. For instance, bell-shaped earrings were known as karabu kudung kudung (Gold Jewellery of the Indonesian Archipelago, Anne Richter and Bruce Carpenter, 2011). What all this suggests is that the Malays of old played a big role in introducing these fancy ornaments when they first caught on among our more fashionable ladies. This is not to say that ear ornaments were not known among the Sinhalese before the Malays arrived here. They certainly were, but these differed from the types we know now. In the Sigiri graffiti we come across many a damsel adorned with large circular ear-rings that would have turned modern lassies with hoop earrings green with envy. Then there were the kondol, ear-pendants hanging from the lobe of the ear, pullimal, large flower-shaped ear-studs, todu, gold or copper rolls inserted into a large perforation in the lobe of the ear and the eye-catching kooru, a corn-shaped trinket passed through the helix or upper rim of the ear as seen in the photos of Sinhalese women published in the Twentieth Century Impressions of Ceylon (1907), all of these testifying to the pains the women of old took to beautifying themselves for their men. However, with the growing popularity of the fancier karabu, these other types gradually fell into disuse so that our modern ladies need have only one little piercing per ear, for which they have the Malays to thank for. Sri Lanka’s Muslims are well known for a delicious brown pudding made of palm sugar, coconut milk, and eggs, known as Vattalappam. Nobody rhapsodised about this lovely dessert better than J. P. De Fonseka who in his Gourmet’s Guide to Ceylon published in the Times of Ceylon Christmas Number of 1937 described it as follows eighty years ago: “The Muslim’s is a sweet tooth. He has a pudding (for which Allah be praised) called wattilappam, a soft, succulent one of jaggery and eggs and all the spices of the earth, which goes down with a demure sweetness like that of the houris in paradise”. 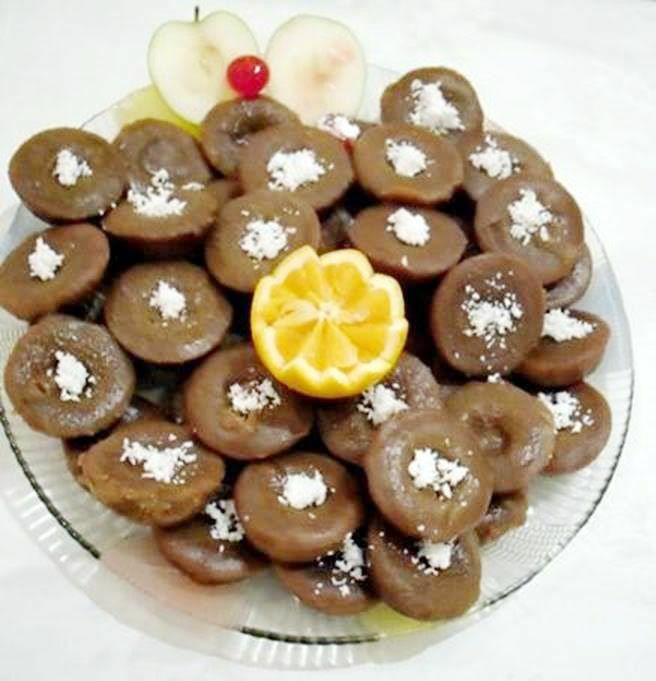 This dessert is today considered a specialty of the Moors, a large community of non-Malay Muslims who claim Arab ancestry, though it has now been commercialised with a few food companies selling it in closed plastic cups. However, there is reason to believe that it has its origins in the Malay world. 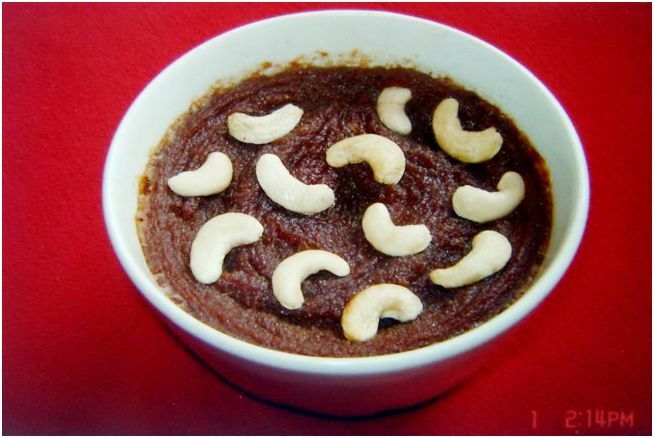 This dessert is not known in the Arab world or India and must have come from elsewhere. So why not look eastwards whence our Malays came? It is here and nowhere else that we find a similar pudding known as serikaya, described as a steamed custard made of eggs, coconut milk, palm sugar, and pandan, or screwpine leaves. Yes, it is the Malay serikaya that evolved into our vattalappam. This is supported by the fact that the word vattalappam used by the Moors is a corruption of the Tamil vaṭṭil ‘cup’ + appam ‘cake’, hence vaṭṭilappam or ‘cup-cake’. The dessert was also formerly known as vla, evidently a Dutch loan. Louis Nell in his An explanatory list of Dutch words adopted by the Sinhalese published in The Orientalist of 1888-89 notes that the Dutch term vla meaning ‘a custard’ is applied by the Moormen to a custard which has a vernacular name in vattil-appan. The fact that the Moors called it by a Dutch term at a certain period of time suggests they themselves did not have a word for it till they coined the word vattilappam, which in Tamil means ‘cup cake’. Thus the Moors found it necessary to employ the term the Dutch colonialists used to refer to the pudding so deliciously turned out by the Malays they had brought to this country. The Moors would have had no reason to do that had this dessert been their own, and all the evidence tells us we have the Malays to thank for this delightful pudding. 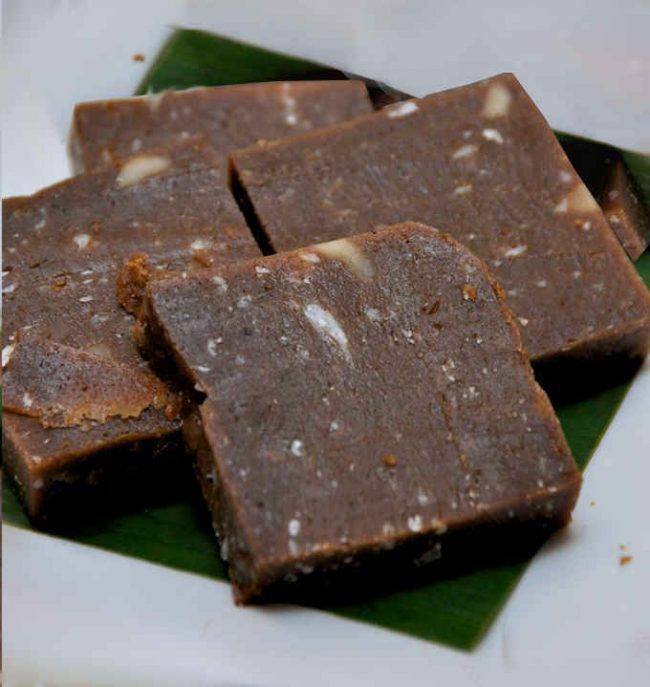 One can hardly find a Sri Lankan who does not love dodol, that oily, dark-brownish muscat made of rice flour, coconut milk, and jaggery, prepared in Sinhalese homes of the low-country, especially in areas like Hambantota. This item, more specifically known as kalu-dodol or ‘black dodol’ after its dark colour, has its origins in the Malay sweetmeat of the same name. To this day various confections known as dodol are in wide use among the Malays of Indonesia and Malaysia. In fact, this writer has have even had durian dodol gifted to him by a Malaysian friend and boy did it taste good! The Moors of the eastern districts also prepare this sweet, and call it either dodal or lodal, depending on the locality. It was probably introduced here by Malay migrants since there is evidence to show that a group of Malays did settle down in the areas like Kinniya in the Trincomalee district, while to this day there exists a kudi or matrilineal clan in Kalmunai known as Yavuka kudi, implying a Javanese origin. It’s also interesting that Hambantota should be famed for its dodol. 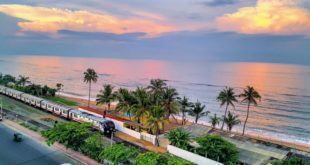 Hambantota was once a thriving Malay settlement and still has a considerable number of Malays. The place name Hambantota itself seems to have meant ‘the harbour of the sampans’, sampans being the little boats or skiffs the Malays are supposed to have used to come hither even before the Dutch set their sights on our happy island. 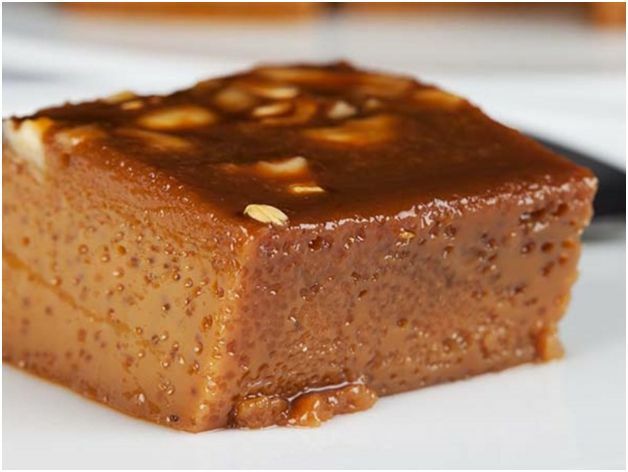 Bibikkan is a rich brownish cake made of rice flour, scraped coconut, sugar, and sweet cumin very popular among the Sinhalese This cake probably has a Malay origin, since in Indonesia bikang refers to a ‘rice flour cake’ or ‘yellow-coloured rice flour cake often with bits of jakfruit’. There is also the Malay bingka made from rice flour, coconut milk, eggs, and sugar. We also find in the Philippines, where a language akin to Malay is spoken, a rice cake known as bebingka made of flour, eggs, and coconut milk, baked in a pan or pot lined inside with wilted banana leaves. In Baba Malay spoken by the ethnic Chinese bengka means ‘baked cake’. Thus benkga pulot ‘baked glutinous rice flour cake, bengka telor ‘baked egg cake’, bengka ubi ‘baked tapioca cake’. This item has a Malay origin and derives from the Malay cake known locally as Cheena-kuve literally meaning ‘Chinese cakes’ (from the Malay Cheena ‘China’ + kueh ‘cake’). This may suggest that its ultimate origins lie in China. In fact, such cakes are still quite popular among the Peranakans or ethnic Chinese settled in Indonesia and Malaysia, who call it kueh bakul and prepare them for the Chinese New Year. This steamed, glutinous rice flour cake often wrapped in banana leaves seems to have originated in China where similar cakes are known as nin-gou meaning ‘high year’. The Chinese believe that it could be used to seal the lips of the ‘kitchen god’, a deity installed in some Chinese homes. Myth had it that this kitchen deity would meet up with the Jade Emperor to give his yearly report of the family. But before this, the family would make offerings of this sticky cake to seal his lips so that he would not be able to tell on the family, especially regarding things like quarrels, so that the family would be in the good books of the Jade emperor. Quite a story for our humble seenakku. Who doesn’t like our sour-sweet pickles that titillate the taste buds like no other. Even our English-speaking households do not disdain to call it by the vernacular name of achcharu because merely calling it pickles does not do it justice. This is little doubt a Malay contribution. The local Malays have a variety of achar, as they call pickles. This includes the famous Malay pickle made of onions, capsicum, dates, ground mustard, chilli, sugar and vinegar. Such pickles have been known for a considerable period among the Malays of the Malayan peninsula and Indonesian archipelago. Although we Sri Lankan prefer fruits like pineapple, mango, guava, and wild olive for our achcharus, the Malays of South East Asia have shown a preference for vegetables, so much so that achar usually refers to a kind of vegetable pickle commonly served as a condiment to eat with a main meal like nasi goreng or ‘fried rice’. In Indonesia, it is made of little chunks of carrot, cucumber, shallots, pineapple and chilli, and marinated in a sour-sweet solution of sugar and vinegar. However, in the olden days, fruits too were widely pickled by the Malays. George Meister, a German landscape architect who travelled to many of the Dutch outposts in Asia, observed in his Der Orientalische Indianische Kunst und Lust Gärtner (1692): “One lays these green mangoes in salt and vinegar, like our cucumbers, or cut in small pieces, and makes achar of them”. However, the Sinhalese do have an achcharu that very closely resembles the vegetable pickles made in the Malay world. This is called Sinhala achcharu after their own race and is made with unripe papaya, carrot, green chillies, shallots, mustard seed, vinegar, and salt to taste. It is commonly taken as a relish with rice. Pol sambol, another Sri Lankan favourite. Image courtesy Srilankanfusioncooking. It needs no gainsaying that we Sri Lankans love to take our rice with pol sambola, that orange dish of grated coconut, onions, chillies, lime juice and salt which we consider ‘a rice puller’, a condiment that gives relish to our otherwise tasteless rice. 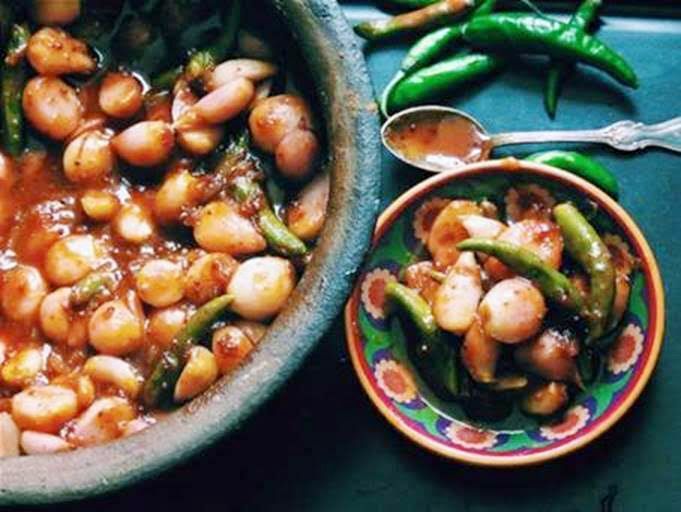 This dish has its origins in the Malay sambal. In the Malay world, uncooked condiments are known as sambal, the most popular of which is the delicious sambal belachan made of dried shrimp, hot chilli, lime and salt. 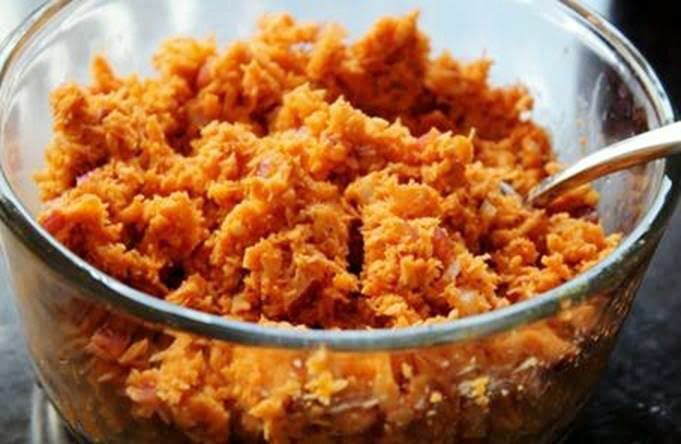 The type that resembles our pol sambol is also known and is called sambal kelapa though this is usually fried. 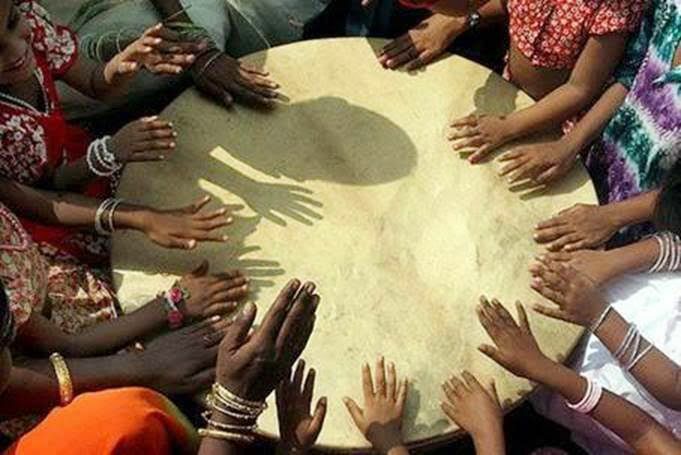 The rabana is a large one-sided drum played by women during the Sinhala New Year. It is beaten with the hands often to the accompaniment of songs known as raban pada. This type of drum originated from the Malay rebana. It most closely resembles the rebana ubi which for instance is played after harvests as in the Malaysian state of Kelantan. Interestingly, the Malay word has derived from the Arabic rabbana meaning ‘Our lord’ which occurs in Islamic devotional music sung to the accompaniment of drums. Sri Lankans love kite flying, but little do we realise that this national pastime was introduced to us by the Malays. 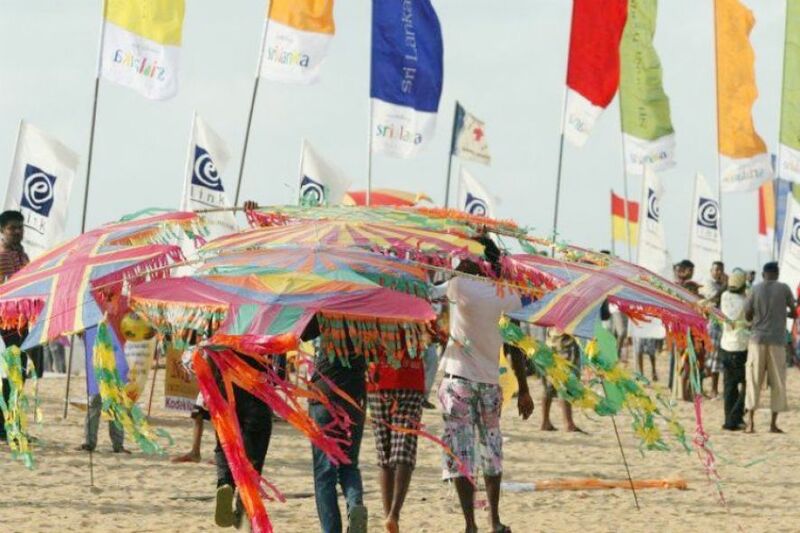 The Sinhala word for kite, sarungalaya does not have Aryan or Dravidian roots, but is rather connected to the Sundanese dialect of Java where sarenkol refers to ‘a small tubed bamboo, crooked at every joint, diverging at some angle from the preceding one’. In this Malay dialect, sarang also refers to ‘cross laths of split bamboo’. It goes without saying that bamboo is the best material for making kite frames and so there you have it! Louis Nell in his Explanatory List of Portuguese Words adopted by the Sinhalese published in The Orientalist of 1888-89 refers to the gaviam (meaning sparrow hawk) applied by the Sinhalese of his time to hawk-shaped paper kites, some of which he says had an Aeolian contrivance in a vibrating thin ribband of bamboo reed stretched to a bow and emitting a strong sound in a high wind. Of relevance to us is his statement that it used to be prepared by the Malay population of the country. To this day, flying paper kites is a very popular form of recreation in the Malay world with festivals and master kite-flyers, with decades of experience behind them. Some of the most spectacular kites the eye could see at such events include the famous crescent-shaped wau-bulan or ‘moon kite’. We have much to thank the Malays for: they made some truly wonderful contributions that have enriched our culture for the better. 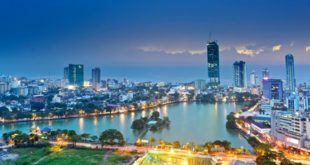 Previous Is The Sinhala Language Haunted?